Insanus Express is a funny strategy simulator from Cienart Studios. You will manage an express psychiatric clinic with a crazy staff. 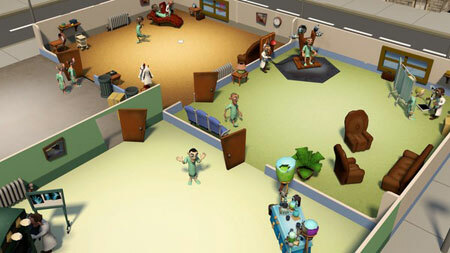 The game consists of overcoming different scenarios while trying to keep it all under control. You can always screw up and get everyone crazy. All the characters are crazy, and they have only four possible states: Doctor, Sane, Mad and Insanus. The madness of these funny Loonies is taken with humor, inspired by the old and nostalgic cartoons and their funny animations. Each scenario or level has different jobs to deal with the Loonies. Each level determines which jobs you have and where they will be positioned. The madness never ends, as each level will be getting more and more challenging. This entry was posted in PC Games, Walkthrough and tagged Insanus Express Cheats, Insanus Express Gameplay, Insanus Express Guide, Insanus Express Strategy, Insanus Express Walkthrough by Marvin. Bookmark the permalink.